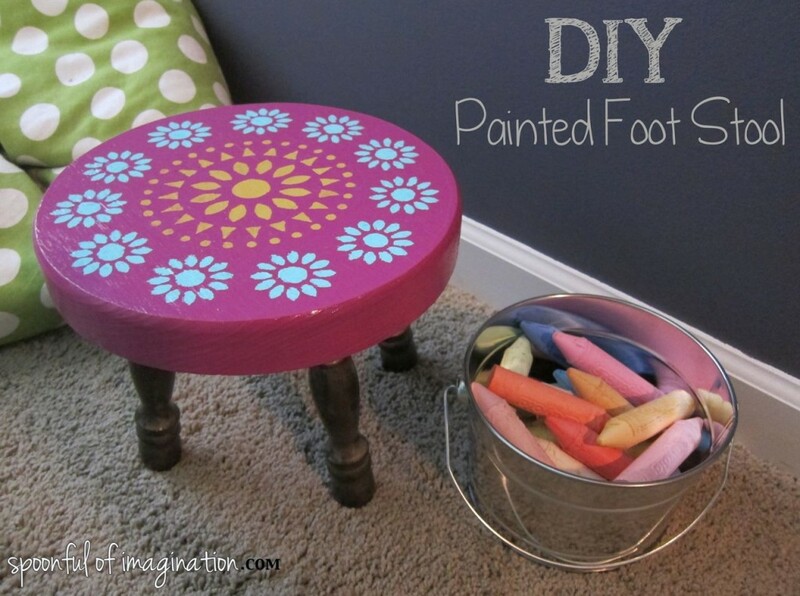 Have you walked by those pretty step stools in home decor stores and started drooling? I have…well almost. It’s been border lined between lusting and spontaneous buying, but the price tags always scares me off. I seriously have seen these small pretty step stools priced at $50. No joke. I just couldn’t pay that for something that I could create something similar too. 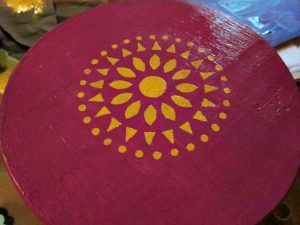 So, I took my daughter out on a date one afternoon and we ended up at Michaels and I bought a plain, raw wood stool for about $6.00 (with the use of a coupon from Michaels’ website). 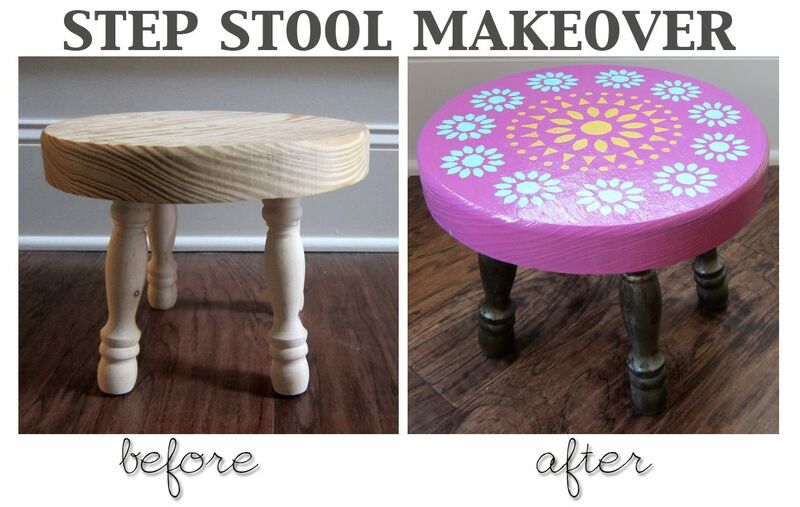 I made this so quick and it captures the look and ability of those more expensive stools. It allows you to take steps upward while looking beautiful sitting there in the corner. Here is how I made it, so you can save some money too. 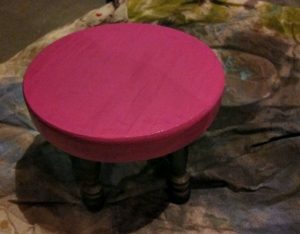 The first step is spray paint the bottom of your stool. You could also use acrylic paint here, but because of all the different angles I decide to just spray it. I thought it would be easier and create less “dripping”. Next, paint the top of your stool. You can use any color, but something that compliments the color of the legs will help give a punch of “wow” factor to your stool. You might be able to tell I have used my stencil before. More on that project coming soon. 🙂 Any stencil will do. 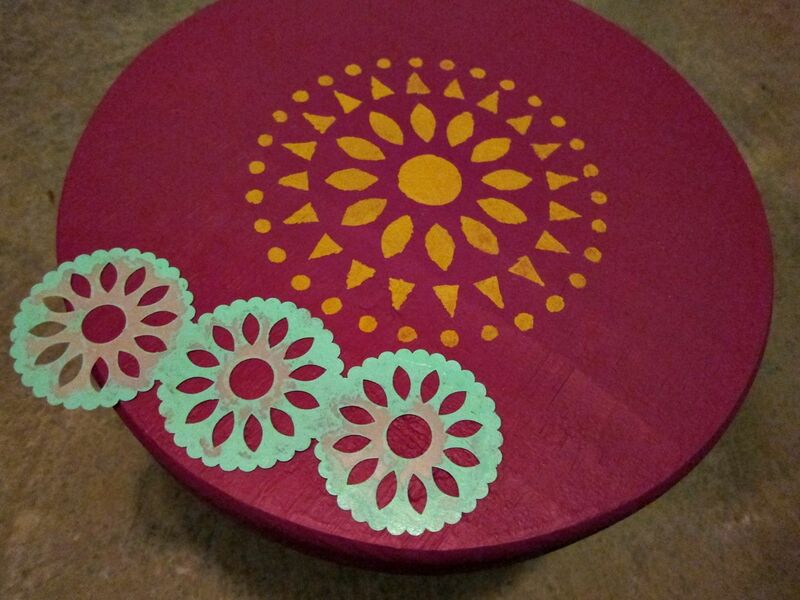 I liked this one because it was a circle shape and my stool is also a circle. I bought this at Michaels as well. 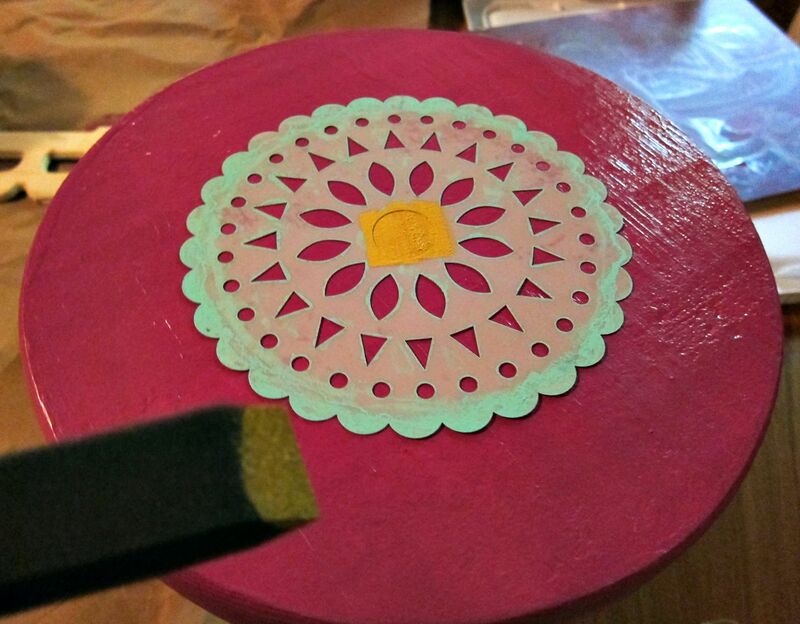 Use your sponge paint brush to lightly dab paint into the slots. 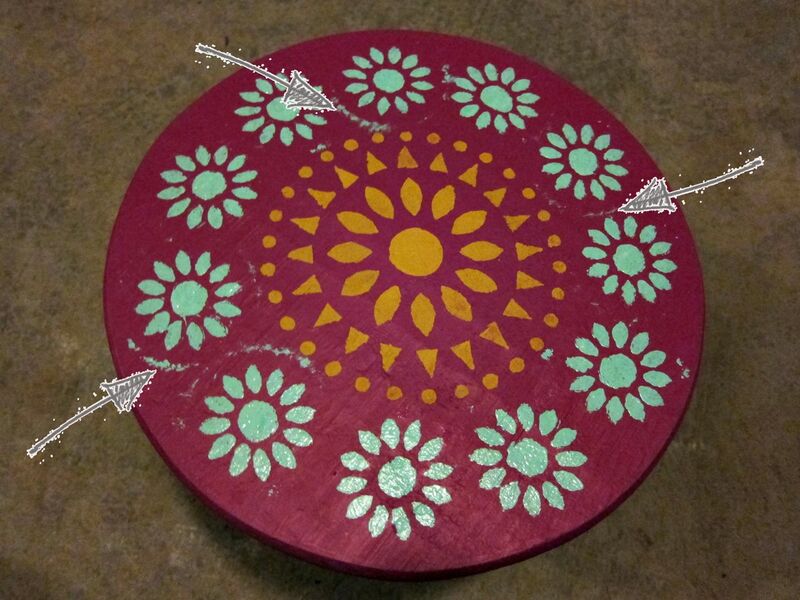 Remember you don’t have to use all of the stencil. 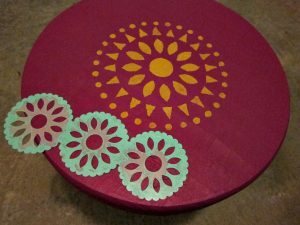 As you can tell, I am not catching the scalloped edge of my stencil for how I am using it on this project. It was too boring for me left like that, so I wanted to add another color and used a small stencil that came with my larger one to go around it. 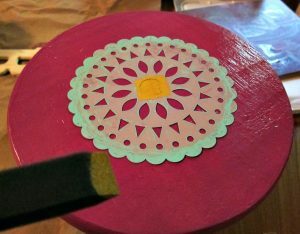 I only used one of the flowers and just eye balled where the next one would go until I had filled the outer part of my stool’s top. Don’t worry if you go over the stencil and get paint on the original base color. I did too! It is no big deal to go back, after the color has dried, and paint the original color back over it to cover the “oops” up. I really loved it, but I wanted to look more professional and finished. 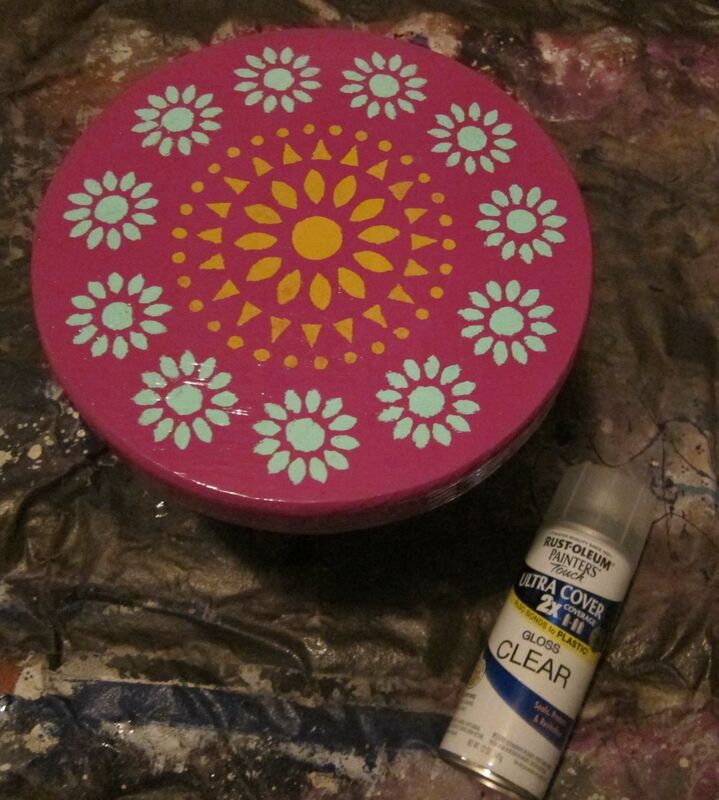 I sprayed a light coat of a glossy spray on top. Mod podge would work as well. The idea is to give it that finished shine. I love how it came out! My daughter loves to sit on it and draw on her chalkboard wall in her bedroom. 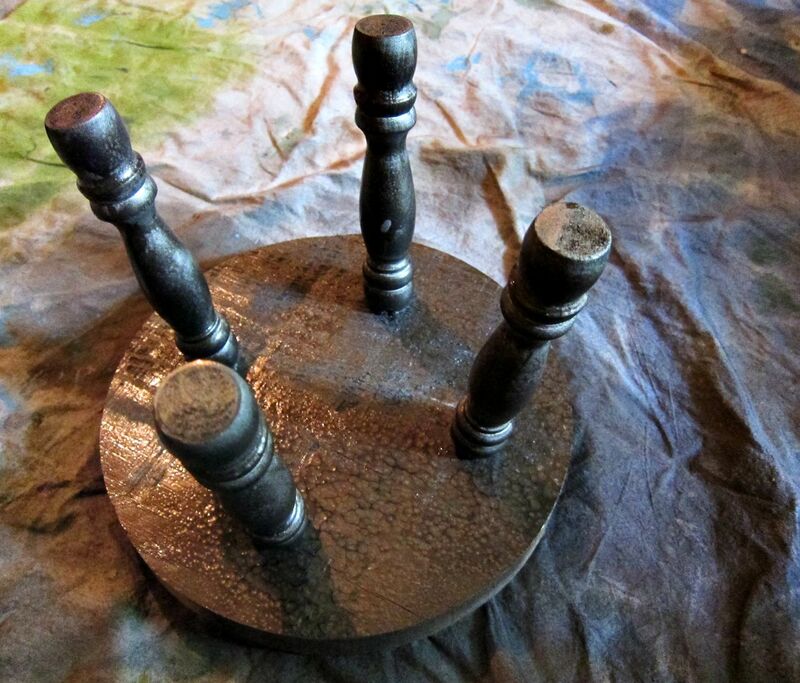 What a cheap way to make a fun and functional accent piece. 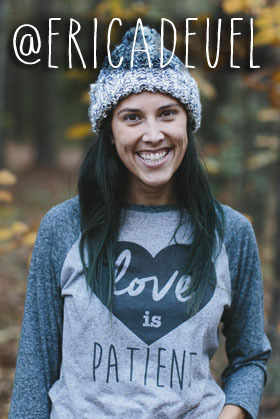 I am all about adding in pops of color! What do you think? 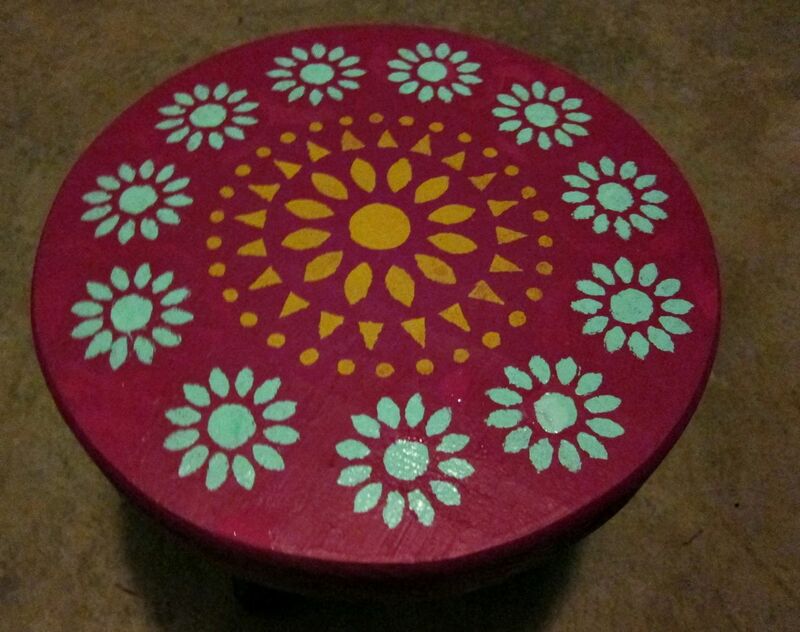 Will you save some money and try making one of these stools yourself? Thank you so much for stopping in! I hope you have a great weekend! If you haven’t entered to win a Mohawk rug yet in my giveaway, there is still time! Click over to see my dinning room rug and enter today.